Many books have been written on the Bible and evolution by scientists, but this volume is written by a biblical specialist. 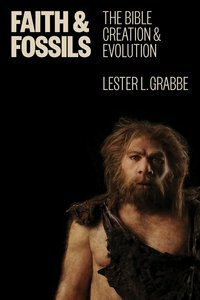 In Faith and Fossils Lester Grabbe, a prominent Hebrew Bible scholar, examines the Bible in its ancient context and explores its meaning in light of emerging scientific evidence. About "Faith and Fossils: The Bible, Creation, and Evolution"
Lester L. Grabbe (Ph.D., University of Claremont, DD., University of Hull), is Professor of Hebrew Bible and Early Judaism at the University of Hull, UK. He is both the author and editor of numerous books including Good Kings and Bad Kings; Ancient Israel; History of the Jews and Judaism in the Second Temple Period (vol. 1); and Introduction to 1st Century Judaism.